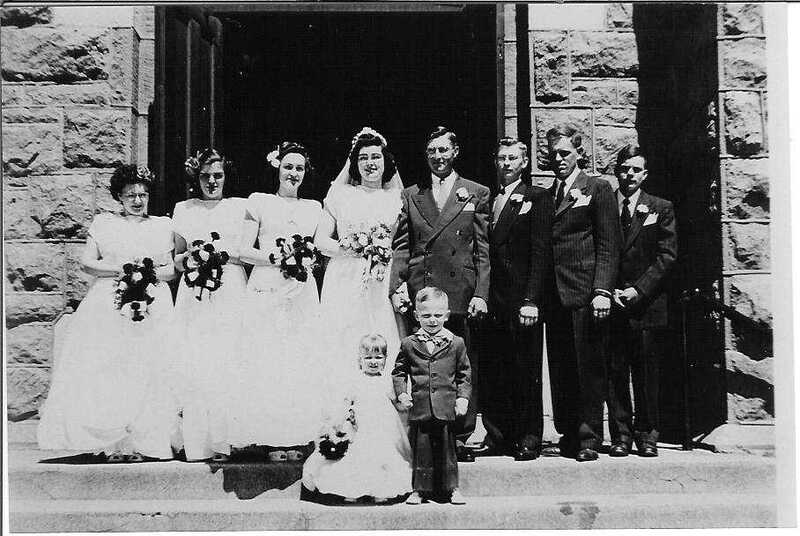 Comments: Lawrence Joseph Feyereisen (Nee: ) | Dacada wi United States | 1941-1960 | Comments: The wedding party of Rosalie Kolbach and Lawrence Feyereisen. L-R: Dolly, Joan and Florence Kolbach, Sally and Lawrence, Donny and Henry Kolbach, Herman Feyereisen. Children are Judy Pulvermacher and Danny Lemanczyk.